I was holding on for dear life as our tricycle bumped its merry way across a boulder filled road--if you can really call it a road that is. We were literally bouncing like ping pong balls inside and after a few minutes our vehicle simply stopped, unable to traverse the dirt path any further. We have no choice but to walk all the way to Melba’s Farm. 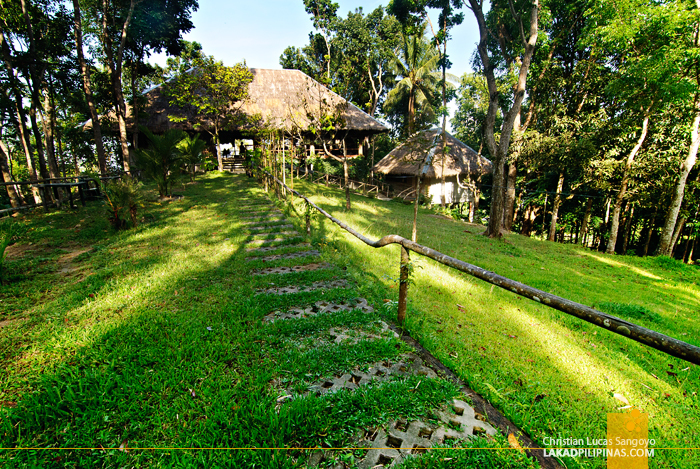 Situated 600 meters above sea level, Melba’s Farm is probably Talisay City’s best kept secret. Some mistake its location to be in Bacolod City, but really, they’re not pretty far off the map. 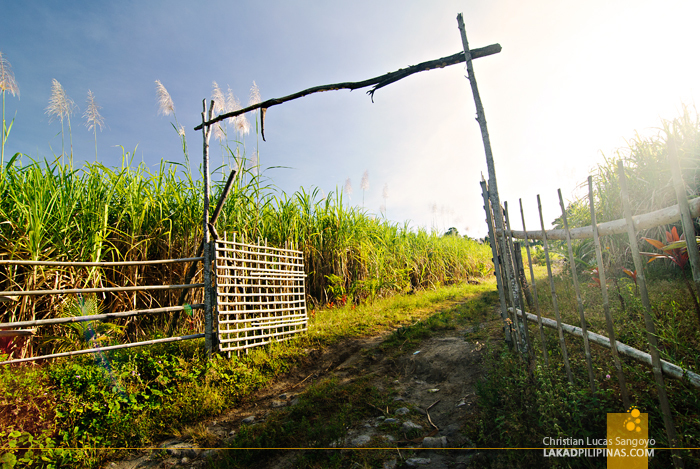 The farm is actually bordered by the two cities but is more accessible from the Bacolod’s barangay Alangilan side. Mr. Alvin Carranza, Melba’s farm owner, named the resort after his mom (sweet eh?). 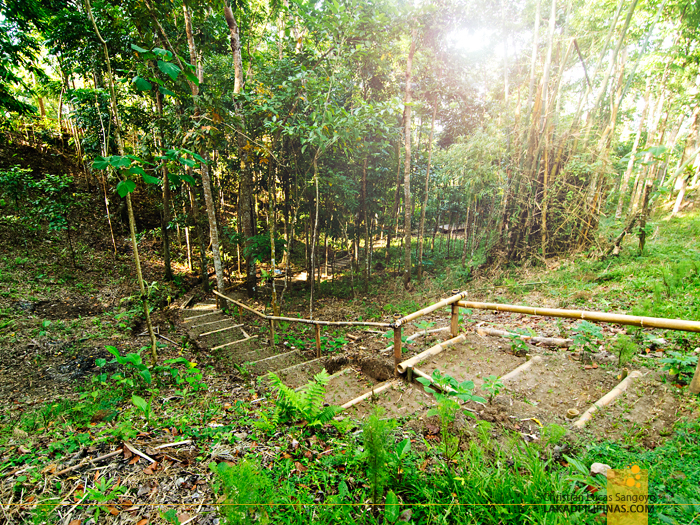 The ten-hectare area used to be the family’s vegetable farm until four years ago when it was converted into a nature resort. The whole place is covered by lush whispering trees; apitongs, narras and even durians, most of which were planted by the family themselves. 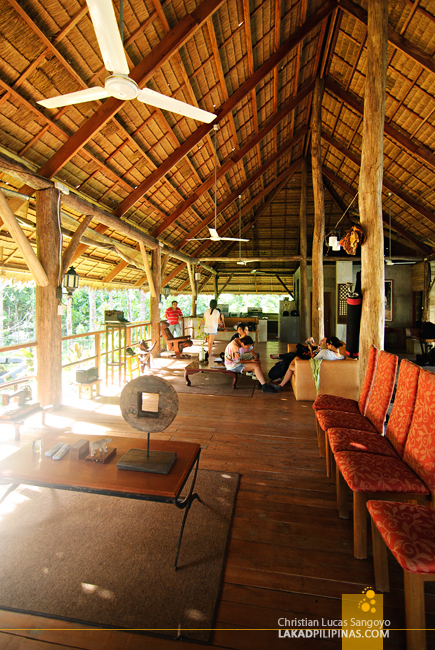 The central hub of the farm is the huge clubhouse-like hut that sits on top of a hill. It’s like a big living area complete with a huge TV set, a comfortable sofa, chairs, benches, coffee tables and a dinner table. The only difference is, there are no walls! 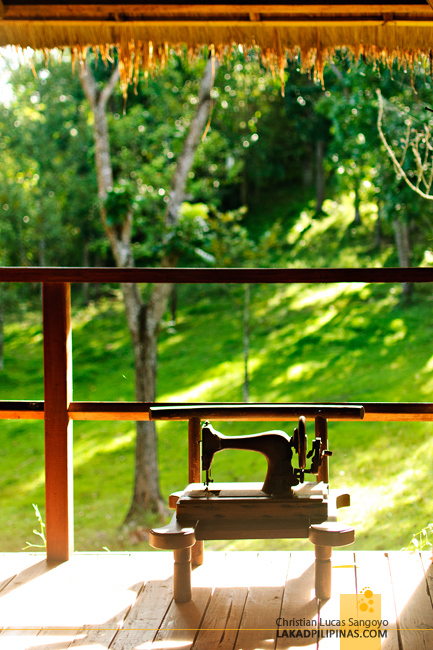 The whole place is open on all sides to the soothing greens of the farm outside. I love how the place is decorated with all sorts of knick knacks from bygone eras; old sewing machines, manual typewriters, leather baseball gloves and analog telephones to name but a few. I imagine that these relics might even be from the Carranza’s own home. Tattered travel magazines and old books also abound, which is really perfect if you just wanna hang out and savor the place. Melba’s farm runs on solar power and during our stay, it wasn’t enough to power the huge TV on the living area so our attentions turned to the printed words, which suits the place better in my opinion. 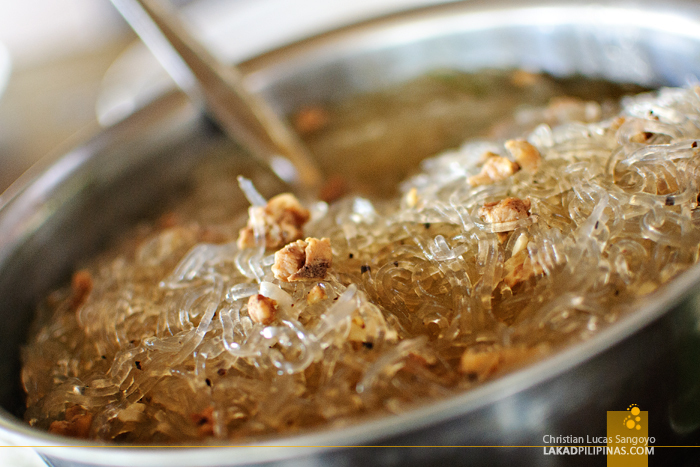 For lunch, we were served fried pork lechon and miki bihon. We would’ve loved to sample their other dishes, unfortunately there was some miscommunication about our arrival dates and they have no food stocks during our stay. Although guests can normally order food in the resort, a reservation is a must since the area is quite far from known civilization. That means they’d have to have stocks before they can cook something up. Guests are also allowed to cook their own dishes with no corkage fee, perfect for groups wanting to save on food expenses or for those who simply love the culinary arts. There is however a fee for using the kitchen which is understandable since you’d be consuming fuel for cooking. Melba’s farm has a couple of rooms that can accommodate guests. 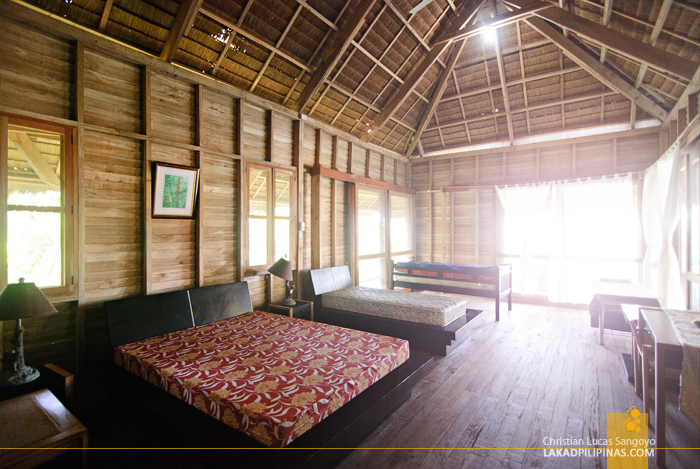 The Lauan Room (Php3,500.00) which is located on the left wing of the main hall can comfortably bed up to five persons but can room up to ten if needed. 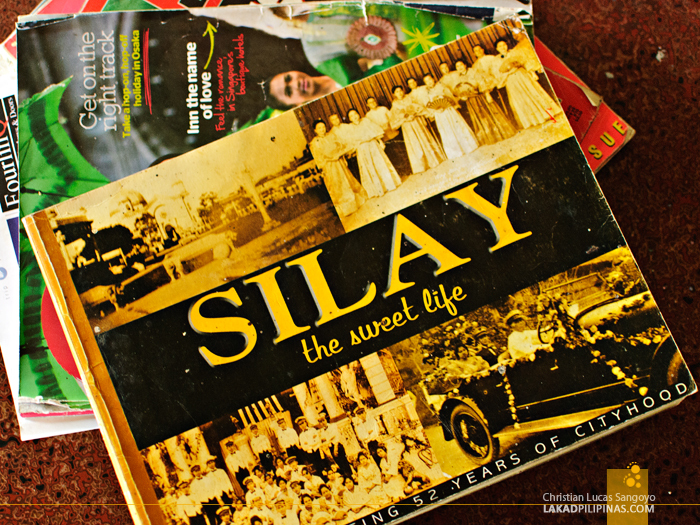 The Mahogany room (Php2,500.00), which is a smaller version of the former, can hold two to four individuals. Even if Melba’s Farm is located on the boondocks, the ladies need not worry about the toilet and bath situation. Their bathrooms are spacious, dry and very clean. 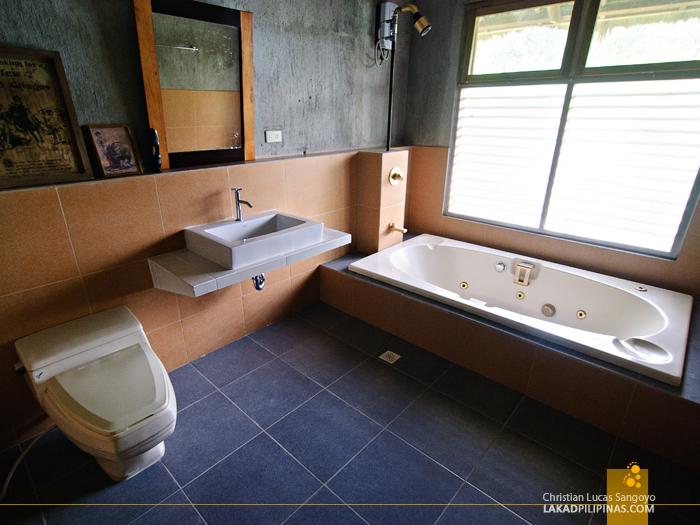 The fixtures themselves are quite modern and they even have a water jet-type bathtub! But my favorite place at Melba’s Farm is their infinity pool. It’s not that big, but is just enough for a small group to hang out in. 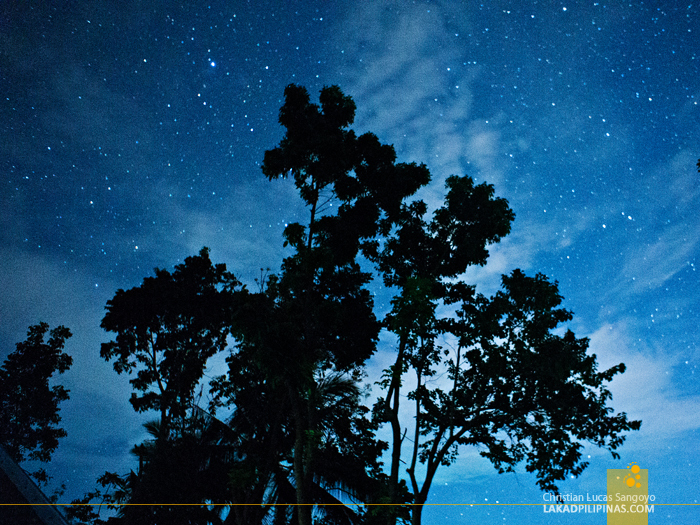 It stretches towards a mountain drop and has a beautiful view of Bacolod City, which literally glows at night. The pool’s water is sourced from a spring but it seemed a bit murky during our stay. 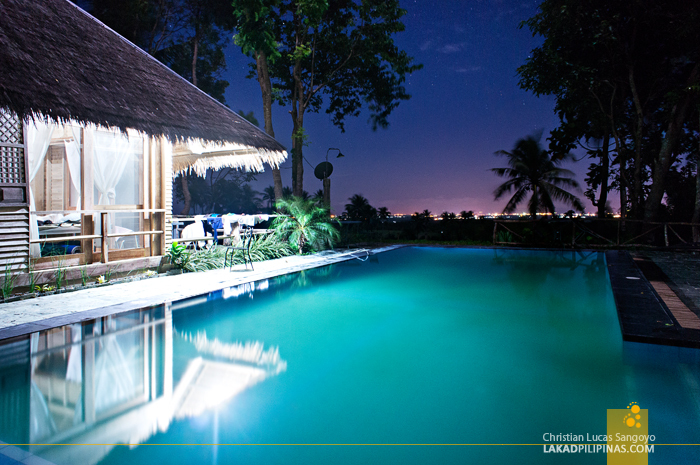 There were a few hiccups during our visit to Melba’s Farm but we still enjoyed the experience of staying there; from the bumpy ride towards the farm, to our walks, the serenity of the place and especially the pool at night. Beer, trees, cicadas, swimming pool, city glow, stars. Perfect. beer sa infinity pool! nice. did you swim? What's their current contact number? I tried to contact them using this number but the man said he's no longer affiliated with Melba's. 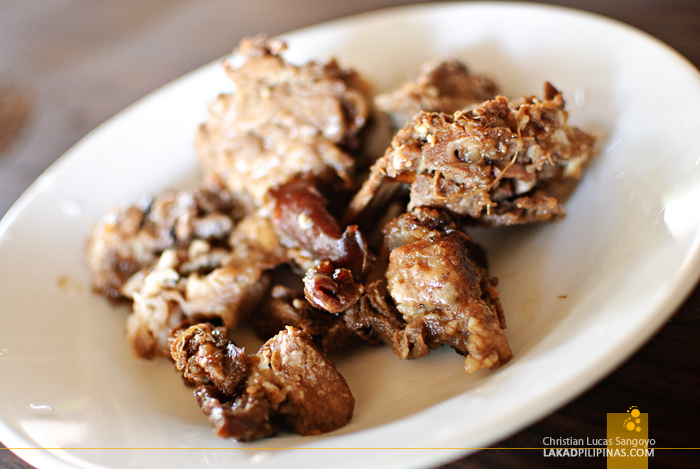 Is it easy lang ba to commute from bacolod city to melbas farm? It's not that hard, except for the last part where you have to ride a tricycle over an unpaved road (that was before, I'm not sure if it has been paved already though).